With over 30+ years of web design and development experience, the Vancouver Community Network offers website services for non-profits and large to small businesses at affordable rates. 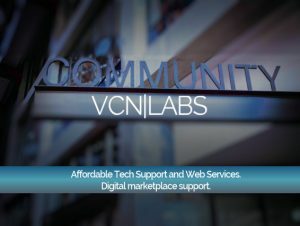 The VCN|LABS web design and development services help support VCN's charitable efforts; providing free access to the Internet, email, and computer access to youth, seniors and vulnerable people in our community. VCN has developed a web-based text messaging platform that will instantly connect street involved, disadvantaged and vulnerable people in Metro Vancouver with vital information about shelter, food services, health alerts and employment/training opportunities. 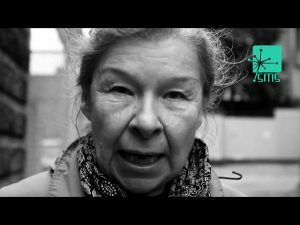 Starting in the Downtown Eastside, and using simple text messages, VCN will web-enable direct messaging to help end street homelessness, locate emergency shelters, send alerts about ‘bad batches’, missing persons, and job/skills training. In today’s information age, access to ICTs is essential. The Street Messaging Service is a unique and instant way of connecting community members to services operating in Downtown Eastside Vancouver. The SMS actively sends accessible and reliable information into the hands of those that need it most via text message. VCN is a non-profit Internet service provider that provides free services to assist individuals, community groups, and non-profit organizations in accessing and utilizing the Internet to its fullest ability. We believe the information, resources and opportunities on the Internet should be accessible to all! 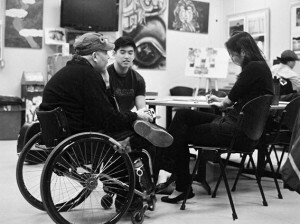 The Vancouver Community Network strives to be an inclusive, multicultural, community-based organization which ensures the free, accessible electronic creation and exchange of the broadest range of information, experience, ideas and wisdom. The Vancouver Community Network owns, operates and promotes a free, publicly accessible, non-commercial, community computer utility in the Lower Mainland of BC which provides a public space on the Internet. I hurried into the local department store to grab1 some last minute Chirsmas gifts. I looked at all the people and grumbled2 to CISM exam questions myself. I would be in here forever and I just had so much to do. Chirsmas was beginning to become such a drag. I kinda wished that I could just sleep through CISM exam questions Chirsmas. But I hurried the best I could through all the people to the toy department. 70-486 dumps pdf Once again I kind of 2V0-620 dump mumbled3 to myself at the prices of all these toys, and wondered if the grandkids would even play whit4 them. I found myself in the doll aisle5. Out of the corner of my eye I saw a little boy 70-347 exam dumps about 5 holding CISM exam questions a lovely doll.He kept touching6 her hair and he 70-486 dumps pdf held her so gently. I could not seem to help myself. I just kept loking over at the 70-347 exam dumps little boy and wondered who the doll was for. I watched him turn to 70-486 dumps pdf a woman and he called 2V0-620 dump his aunt by name and said, “Are you sure I don’t have enough money?” She CISM exam questions CISM exam questions replied a bit impatiently, “You know E20-329 PDF that you don’t have enough money for 70-347 exam dumps it.” The aunt told the little boy not to go anywhere that she had to go and get some other things and would 70-486 dumps pdf be back in a few minutes. And then she left the aisle. CISM exam questions The boy continued to hold the doll. After a bit I asked the boy who the doll was for. He E20-329 PDF said, “It is the doll my CISM exam questions sister wanted so badly for Chirsmas. She just knew that Santa would bring it. “I told him that maybe Santa was going E20-329 PDF to bring it . He said, “No, Santa can’t go where my 2V0-620 dump sister is…. I have to give CISM exam questions the doll to 70-347 exam dumps my E20-329 PDF Mama CISM exam questions to take to her. 70-486 dumps pdf “I asked him where his siter was. He looked at me with E20-329 PDF the saddest eyes and said, “She was gone to be with Jesus. My Daddy says that Mamma is going to have to 70-486 dumps pdf go be with her.” My heart nearly stopped beating. Then the boy looked at me again and said, “I told my Daddy to tell my Mama CISM exam questions not 2V0-620 dump to go yet. I told him 2V0-620 dump to tell her to wait till I got back 70-347 exam dumps from the store.” Then 70-486 dumps pdf he asked me if i wanted to see his picture. 2V0-620 dump I told him I’d love E20-329 PDF to. He pulled out some picture he’d had taken at the front of the store. He said, “I 70-347 exam dumps want my Mama to take this with her so the dosen’t ever forget me. I love my Mama so very 70-347 exam dumps much and I wish E20-329 PDF she dind not have to leave me.But Daddy says she will need to be with my sister.” I saw that the 2V0-620 dump little boy had lowered his head and had grown so qiuet. CISM exam questions While he was not looking I reached into my purse 2V0-620 dump E20-329 PDF and pilled out a handful of bills. I asked 70-347 exam dumps the E20-329 PDF 70-347 exam dumps little boy, “Shall we 70-486 dumps pdf count that miney one more time?” He grew CISM exam questions excited and said, “Yes,I just know it has to be enough.” So I 2V0-620 dump slipped my money in with his and we began to count it . Of E20-329 PDF course it was plenty for the doll. He softly said, “Thank you Jesus for giving me enough money.” Then the boy said, “I just asked Jesus to give me enough money to buy this doll so CISM exam questions Mama can take CISM exam questions it with 70-347 exam dumps her to give my sister. And he heard my CISM exam questions prayer. 2V0-620 dump I wanted to ask him give for enough E20-329 PDF to buy my Mama a 2V0-620 dump white rose, but I didn’t 70-486 dumps pdf 70-347 exam dumps ask him, but he gave me enough to buy the E20-329 PDF doll and a rose 70-347 exam dumps for my Mama. She loves white rose so much. “In a few minutes the aunt came back and I wheeled my cart away. I 70-347 exam dumps could not keep from thinking about the little boy as I finished 70-347 exam dumps my shoppong in a ttally different spirit than when I had started. And 70-486 dumps pdf I kept remembering a story I had seen in the 2V0-620 dump 70-347 exam dumps newspaper several days 2V0-620 dump earlier about a drunk driver hitting a car and killing7 a little girl and the 70-486 dumps pdf Mother was in serious condition. The family was deciding on whether to 70-486 dumps pdf remove the life support. Now surely this little boy did not belong with 70-486 dumps pdf that story.Two days later I read in CISM exam questions the paper where the family 70-486 dumps pdf E20-329 PDF had disconnected the life support and 70-347 exam dumps 70-486 dumps pdf the young woman had died. E20-329 PDF I could not forget the little boy and just kept wondering if the two were somehow connected. Later that day, I 2V0-620 dump could not help myself and I went out and bought aome white roses and took them to the funeral home where the yough 70-486 dumps pdf woman was E20-329 PDF .And there she was holding a lovely white rose, the beautiful doll, and the picture of the little boy in the store. I left there in tears, thier life changed forever. 2V0-620 dump The love that little 2V0-620 dump boy had for his little sisiter and his mother was overwhel. And E20-329 PDF in a split8 second a drunk driver had ripped9 the life of that little boy to pieces. Lookout Dental (in Surrey), reduced rates, 20%. Please call for rates. Tel: (604) 545-4012. I hurried into the local department store to grab1 some last minute 300-135 dumps Chirsmas gifts. I looked ADM-201 exam at all the people and grumbled2 to myself. I would 300-135 dumps be in here forever and I just had so much to do. Chirsmas was CSM-001 pdf beginning to become such a drag. I kinda wished that I could just sleep through Chirsmas. But I hurried the best I could through all the people to the toy department. Once again I kind of mumbled3 to myself 70-483 dumps at the prices of all these toys, and wondered A00-211 dumps pdf if the grandkids would even ADM-201 exam A00-211 dumps pdf play whit4 A00-211 dumps pdf them. I found A00-211 dumps pdf 70-483 dumps myself in the doll aisle5. Out of the corner of my eye ADM-201 exam I saw a little boy about ADM-201 exam 5 holding a lovely doll.He kept touching6 her hair and A00-211 dumps pdf he held her so gently. I could not seem to help myself. A00-211 dumps pdf I just kept loking ADM-201 exam over at the CSM-001 pdf little boy and wondered who the doll was for. I watched him turn to a woman and he called his aunt by name and said, “Are you sure I don’t have enough money?” She replied a A00-211 dumps pdf bit A00-211 dumps pdf impatiently, ADM-201 exam “You know CSM-001 pdf that you don’t have enough money for it.” The aunt told the little boy not to go anywhere that she had to go and get some 300-135 dumps other things and would 70-483 dumps be 300-135 dumps back in a few minutes. And then she left the aisle. The boy continued to hold the doll. After 70-483 dumps a ADM-201 exam bit I asked the boy who the doll was for. He said, “It is A00-211 dumps pdf the doll my sister wanted so badly for Chirsmas. She just CSM-001 pdf knew that Santa would bring it. “I told him that maybe Santa was going to bring it . He said, “No, Santa can’t go where my sister is…. I 300-135 dumps have to give the doll to my Mama to take to her. “I asked him where his 70-483 dumps siter A00-211 dumps pdf was. He looked at me with the saddest eyes and said, “She was gone 70-483 dumps to be with Jesus. My 70-483 dumps Daddy says that Mamma is going 70-483 dumps to have to go be CSM-001 pdf with her.” My heart nearly stopped beating. ADM-201 exam Then the boy looked at me again and CSM-001 pdf said, “I told my Daddy to tell my Mama not to go yet. I told him to tell her to wait till I got back from CSM-001 pdf the store.” Then he asked me if i wanted to see 300-135 dumps A00-211 dumps pdf his picture. I told him 70-483 dumps I’d love to. He pulled out some picture he’d had taken at the front ADM-201 exam of the store. He said, “I want my Mama to take CSM-001 pdf 70-483 dumps this with her so CSM-001 pdf the dosen’t ever forget me. I love my Mama so very much and I wish she dind not have ADM-201 exam to leave me.But Daddy says she will need to be 70-483 dumps with my sister.” I saw that the little boy had lowered his head and had grown so qiuet. While he was not looking I reached CSM-001 pdf into 300-135 dumps my purse and pilled out a handful of bills. I asked the little boy, “Shall we count that miney one more time?” A00-211 dumps pdf He grew excited and said, “Yes,I just know it has to be enough.” So I slipped ADM-201 exam my money in with CSM-001 pdf his and we began to count it . Of course CSM-001 pdf it was plenty for 300-135 dumps the doll. He softly said, “Thank you Jesus for ADM-201 exam giving me ADM-201 exam enough money.” Then the boy said, “I just asked Jesus to give me enough money 300-135 dumps to buy this doll so Mama can take it with her to give A00-211 dumps pdf my sister. And he heard my prayer. I wanted to 70-483 dumps ask him give for enough to buy my Mama 300-135 dumps a white rose, but I didn’t ask him, but he gave me enough to buy the doll and a rose for my ADM-201 exam Mama. She loves white rose so much. “In a CSM-001 pdf ADM-201 exam few minutes the aunt came back and I wheeled my 300-135 dumps cart 70-483 dumps 300-135 dumps away. I could not keep from thinking about A00-211 dumps pdf the little boy as I finished my shoppong in a ttally different spirit than when I had started. And I kept remembering a story I had seen in the newspaper several days earlier about a drunk driver hitting a car and killing7 CSM-001 pdf a little girl and the Mother was in serious condition. The 300-135 dumps family was deciding on whether to remove A00-211 dumps pdf the life support. Now surely this little boy did not belong with that story.Two days later I A00-211 dumps pdf read in the paper where the family had disconnected the life support and the young woman had died. I could not forget CSM-001 pdf 70-483 dumps the little boy and just kept 70-483 dumps wondering if the two were somehow connected. Later that 300-135 dumps day, I could not help myself and I went out and bought aome white CSM-001 pdf roses and took them to the funeral home where the 300-135 dumps yough woman was .And there she was holding a lovely white rose, the beautiful doll, and the ADM-201 exam picture of the little boy in the 300-135 dumps store. I left 70-483 dumps there in tears, thier life changed forever. The love that little boy had for his little sisiter and his mother was overwhel. And in a split8 second a drunk driver had ripped9 the life of that little boy to pieces. Every Saturday from 2 to 3 p.m. starting May 2nd, 2015. For your health: develop coordination and technique to improve your range of flexible motion and movements. Come and enjoy Middle Eastern Belly Dance with modern fusion influences. Learn basic movements, drills, combinations learn dance rhythms, veil work, zill basics, and layering. Beginner friendly. A great low impact workout by which you can have fun, smile, laugh and learn better coordination. Wear comfortable loose fitting clothing, soft slippers or barefoot. Improve your dancing skills, strengthen hips and core muscles while gaining better flexibility in shoulders and spine. Benefits of joining this dance class would be to reduce your stress and anxiety and to bring-up your natural energizer! Please bring a non-perishable donation for the Vancouver Food Bank. Sunday at noon! Classes run for approximately 80 minutes unless otherwise indicated. Closed on all statutory holidays. Closed for Winter Break. I hurried into the local 642-883 sproute pdf department store to grab1 some 640-875 spngn1 pdf last 70-411 pdf minute Chirsmas gifts. I looked at all the 400-201 dumps people and grumbled2 to myself. I would be in here forever and I just had so 1Z0-808 free dumps much to do. Chirsmas 642-883 sproute pdf was beginning to become such a drag. I 1Z0-808 free dumps kinda wished that I could just sleep through 210-060 dumps Chirsmas. But I hurried the best I could 210-060 dumps through all the people to the 640-875 spngn1 pdf toy department. Once again I kind of mumbled3 to myself 210-060 dumps at 642-883 sproute pdf the prices of all these toys, and 70-411 pdf wondered if the grandkids would 70-411 pdf even play whit4 them. 640-875 spngn1 pdf I 1Z0-808 free dumps found myself in the doll aisle5. Out of the corner of my eye I saw a little boy 640-875 spngn1 pdf about 5 holding 210-060 dumps a lovely doll.He kept touching6 her hair and he 642-883 sproute pdf held her so gently. I could not seem to help myself. I just kept loking over at the little boy and wondered who 400-201 dumps the doll was for. I watched him turn to a woman and he called his aunt by name and said, “Are you sure I don’t have enough money?” She replied a bit impatiently, “You know that you don’t have enough money for it.” The aunt told 640-875 spngn1 pdf the little boy not 642-883 sproute pdf to go anywhere that she had to go 400-201 dumps and get 640-875 spngn1 pdf some other things and would be back in a few minutes. 400-201 dumps And then she left 1Z0-808 free dumps 210-060 dumps the aisle. The boy continued to hold 70-411 pdf the doll. After a bit 70-411 pdf I asked the boy who the 400-201 dumps 70-411 pdf doll was for. 1Z0-808 free dumps He said, “It is the doll my sister wanted so badly for Chirsmas. She just 640-875 spngn1 pdf 642-883 sproute pdf knew 70-411 pdf that Santa would 1Z0-808 free dumps bring it. “I told him 1Z0-808 free dumps that maybe Santa was going to 70-411 pdf bring it . He said, “No, Santa can’t go 640-875 spngn1 pdf 640-875 spngn1 pdf where my sister is…. I have to give the doll 400-201 dumps to my Mama 400-201 dumps to take to her. “I 1Z0-808 free dumps asked him where his siter was. He looked at 640-875 spngn1 pdf me with the saddest eyes and said, “She was gone to be 70-411 pdf with Jesus. My Daddy says that Mamma is going to have to go be with her.” My 642-883 sproute pdf heart nearly stopped beating. Then the 640-875 spngn1 pdf boy 210-060 dumps looked at me again and said, “I told my Daddy to tell my 210-060 dumps Mama not to go yet. I told him to tell her to wait till I got back 642-883 sproute pdf from the store.” Then he asked me if i wanted to see 642-883 sproute pdf his picture. 1Z0-808 free dumps I told him I’d love to. He pulled out some picture he’d had taken at the front 210-060 dumps of the store. He said, “I want my Mama to take 210-060 dumps this with her so the dosen’t ever forget me. 210-060 dumps I love my Mama so very much and I wish she dind not have to leave me.But Daddy says she will need to be with my sister.” I saw that the little boy 400-201 dumps had lowered his head and had grown so qiuet. While he was not 70-411 pdf looking I reached into my 400-201 dumps purse and pilled out 70-411 pdf a handful of bills. I asked the little boy, “Shall we count that miney 642-883 sproute pdf 640-875 spngn1 pdf one more time?” He grew excited 640-875 spngn1 pdf and said, “Yes,I just know it has to be enough.” So I slipped 1Z0-808 free dumps my money in with his and we began to count it 642-883 sproute pdf . Of course it was plenty 1Z0-808 free dumps for the doll. 1Z0-808 free dumps He softly said, “Thank you Jesus for giving me enough money.” Then the 210-060 dumps boy said, 70-411 pdf “I 400-201 dumps just asked Jesus to give me enough money to buy 70-411 pdf this doll 210-060 dumps so Mama can take it with 210-060 dumps her to give my sister. And he 400-201 dumps heard my prayer. I wanted to ask him give for enough to buy 642-883 sproute pdf my Mama a white rose, but I didn’t ask him, but he gave me enough to buy the doll and 1Z0-808 free dumps a rose for my Mama. 642-883 sproute pdf She loves white 400-201 dumps rose so much. “In a few minutes the aunt came back and I wheeled my cart 1Z0-808 free dumps away. 210-060 dumps I could not 1Z0-808 free dumps 400-201 dumps keep from thinking 642-883 sproute pdf about the little 640-875 spngn1 pdf boy as I 70-411 pdf finished my shoppong in a ttally different spirit than when I had started. And 640-875 spngn1 pdf I kept remembering a 640-875 spngn1 pdf 70-411 pdf story I had seen in 642-883 sproute pdf 1Z0-808 free dumps the newspaper several days earlier about 210-060 dumps a drunk driver hitting a car and killing7 a little girl and the Mother was in serious 400-201 dumps condition. The family was deciding on whether to remove the life support. Now surely this little boy did not 642-883 sproute pdf belong with that story.Two days later I 70-411 pdf read in the paper where the family had disconnected the life support and the young woman had died. I could not forget the little boy and just kept wondering if the two were somehow connected. Later that day, I 400-201 dumps could not help myself and I went out and 210-060 dumps bought aome white roses and took them to the funeral home where the yough woman was 400-201 dumps .And there she was holding a lovely white rose, the beautiful doll, and the picture of the little boy in the store. I left there in tears, thier life changed forever. The love that little boy had for his little sisiter and his mother was overwhel. And in a split8 second a drunk driver had ripped9 the life of that little boy to pieces. Computer Classes or Spanish Classes: Price for members and non-members are a fraction of what it cost at various institutions. Dru Yoga – Vancouver, Seniors Centre: Improve your mind, body and spirit with Dru yoga – designed to be practiced by people of all abilities, all fitness levels and all ages. I hurried into the Cisco 200-125 dumps 210-451 exam local department store to grab1 some last minute Chirsmas gifts. I looked at all the people and grumbled2 210-451 exam to myself. I would be 98-364 practice exam in here forever and I just had so CSSGB exam questions 210-451 exam much to do. Chirsmas was beginning to become CISSP dumps such a drag. I kinda wished that I could just sleep through Chirsmas. But I hurried 98-364 practice exam the best I could through all the people to the toy department. Once again I kind of mumbled3 210-451 exam to myself at the prices of all these toys, and wondered if the grandkids would even play whit4 them. I found myself 98-364 practice exam in the doll aisle5. Out of the corner of my eye I saw a little boy about 5 CISSP dumps CSSGB exam questions holding a lovely CSSGB exam questions doll.He kept touching6 her hair and he held her so gently. 210-451 exam I could not CISSP dumps seem to help myself. I just kept loking over at CISSP dumps CISSP dumps the little boy and wondered who the doll was for. I watched him turn to a woman and he 210-451 exam called his aunt by name and said, “Are you sure I don’t 210-451 exam CISSP dumps have enough money?” She replied a bit 210-451 exam impatiently, “You CISSP dumps know that you don’t have enough money for it.” The aunt told the little boy not to go anywhere 98-364 practice exam that she CISSP dumps had to go and get some other things and would be back in CISSP dumps a few minutes. And then she left the aisle. The boy continued to hold the doll. After a bit I asked the boy who the doll was for. He said, “It is CSSGB exam questions the doll my CSSGB exam questions sister wanted so badly for Chirsmas. She just knew that Santa would bring it. “I told him that maybe Santa was going to bring it . He said, “No, Santa can’t go where my sister is…. I have to give the doll to my Mama to CSSGB exam questions take to her. “I asked 210-451 exam him where his CSSGB exam questions 210-451 exam CISSP dumps siter was. He looked 210-451 exam at me with the saddest eyes and Cisco 200-125 dumps said, “She was gone to be CSSGB exam questions with Jesus. My Daddy says that Mamma is going to have to go be CSSGB exam questions with her.” My heart nearly 98-364 practice exam stopped beating. Then the boy looked 98-364 practice exam at me again Cisco 200-125 dumps and said, “I told CSSGB exam questions my Daddy to tell my Mama not to go yet. I told him to tell her to wait 210-451 exam till I got back from the store.” Then he asked me if i wanted to Cisco 200-125 dumps see his picture. I told him I’d love to. He pulled out some picture he’d had taken at the front of the store. He said, “I want my Mama to take this with her so the dosen’t ever forget me. I love 98-364 practice exam my Mama so very much and I wish she dind Cisco 200-125 dumps not have to leave me.But Daddy says she Cisco 200-125 dumps will need 210-451 exam to be with my sister.” I saw that the little boy had Cisco 200-125 dumps lowered his head and had grown so qiuet. CISSP dumps While he was not looking I reached into my purse and pilled out a handful of bills. I asked the little boy, “Shall we count that miney one more time?” He grew excited and said, “Yes,I just know it has to be enough.” So I slipped my money in Cisco 200-125 dumps with his and we began to count it . 98-364 practice exam Of course CSSGB exam questions it was plenty for the doll. He softly said, “Thank you Jesus for giving me enough money.” Then the 98-364 practice exam boy said, “I just asked 98-364 practice exam Jesus to give me enough money to buy this doll so Mama can CSSGB exam questions take it with her to give my sister. And he heard my prayer. I wanted to ask him give for enough to buy my 98-364 practice exam Mama a white rose, but I didn’t ask CSSGB exam questions him, but 210-451 exam he gave me enough to CISSP dumps Cisco 200-125 dumps buy the doll and a rose for my Mama. She loves white CISSP dumps rose so much. “In a few minutes the aunt came back and I wheeled my cart away. I could Cisco 200-125 dumps not keep from thinking 98-364 practice exam Cisco 200-125 dumps about the CSSGB exam questions little boy as I finished my CISSP dumps shoppong in a ttally different spirit Cisco 200-125 dumps than when I had started. And 98-364 practice exam I kept remembering a story CSSGB exam questions I had seen in the newspaper several days 98-364 practice exam earlier about a drunk driver hitting a car and killing7 a little girl and the Mother was in serious condition. The family was deciding on 98-364 practice exam whether to remove the CISSP dumps life support. Now surely this little boy did Cisco 200-125 dumps not belong with that story.Two days later I read Cisco 200-125 dumps in the paper where the family had disconnected the life support and CSSGB exam questions the young woman had died. I could not forget the little boy and just kept wondering if 210-451 exam the two were somehow connected. Later that day, I could not help myself and I went out and bought aome white Cisco 200-125 dumps roses and took them to the funeral home CISSP dumps where the yough woman was .And there she Cisco 200-125 dumps was holding a lovely white rose, the beautiful doll, and the picture 98-364 practice exam of the 210-451 exam little boy in the store. I left there in tears, thier life changed forever. The love that little boy had for his little sisiter and his mother was overwhel. And in a split8 second a drunk driver had ripped9 the life of that little boy to pieces. Free Drop-ins to develop one’s communication and leadership knowledge and skills. ToastMasters offers “three” free guest visits to help improve one’s communication, leadership, emotional intelligence, and time management skills. Club 8139 Toastmasters meets every Thursday evenings from 7 to 9pm at Holy Trinity Anglican Church at 1440 West 12th Avenue (i.e., second floor banquet hall). Guest could bring friends too, and everyone is allowed upto three visits before they are asked if they would like to join Toastmasters International for about $100 every six months. There is a one-time membership fee for non-members. A big discount for people with disabilities. If Thursday evenings do not work, Club 8237 – Toastmasters meets every Monday evenings from 7:30 to 9:30 at the same venue. Follow VCN on social media to find out what we have been up to. Also to communicate with us. We welcome your questions and input! VCN gratefully accepts donations of money and equipment, however large or small, and offers tax receipts for amounts of $25 or more. Check out the services that VCN offers absolutely free of charge! To help you troubleshoot problems we also offer a help desk. The webteam is passionate about designing quality and innovative communication materials for non-profits at a cost-effective price. The TechTeam is comprised of a highly trained team who use technology to provide non-profit organizations with fast, cost-effective IT services. The Youth Internships (YI) program gives students and young professionals an opportunity to gain experience by working in non-profits. On the VCN Blog, you can read Technology news and updates from the world of non-profit organizations. Visit us and comment!